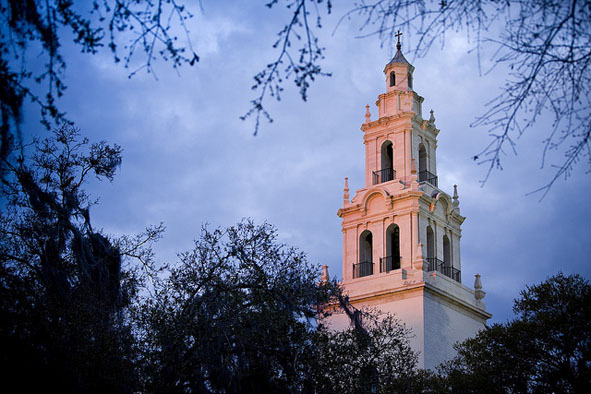 The chapel and its services represent Rollins' unique heritage and adventurous founding. From morning until late at night, the chapel provides a place of meeting, a place of quiet, and a visible reminder of the relationship between the religious life and the academic search for truth. The Dean of Religious Life acts as the pastor of the College. There are weekly worship services, classes on Scripture and Theology, marriage counseling and visits to the sick. 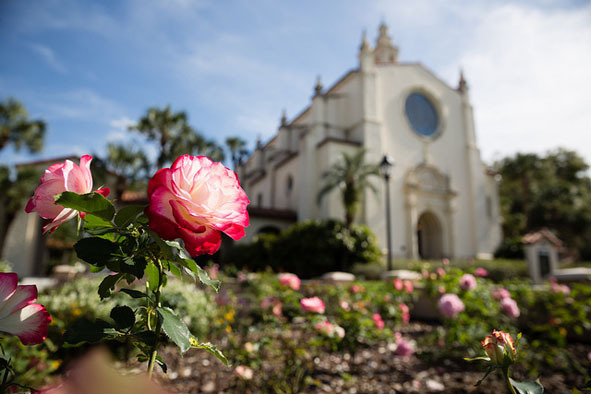 The Dean also performs marriages, baptisms, funerals and memorial services for members of the Rollins community. She also coordinates a wide array of activities that provide a distinct aspect of student life here at Rollins. The Dean of Religious Life also provides pastoral and personal counseling to staff and students, regardless of religious orientation. Through worship, study groups, fellowship, Bible studies and retreats at the chapel, religious life and values are enhanced and students are encouraged to grow in their religious understanding and faithfulness. Religious groups often use the chapel as a meeting place for joint service projects like Habitat for Humanity, local community projects, and Special Olympics. A nondenominational Christian Worship Service occurs every Sunday at 11 a.m. during the academic year. Services feature music performed by various members or groups from the Department of Music. Sermons are by the Dean of Religious Life as well as renowned visiting preachers. Special services occur in the chapel throughout the year. The music department presents many concerts throughout the academic year featuring visiting guest artists and the many music students who represent the Rollins Choir, Women's Ensemble, musical groups and instrumentalists. Distinguished religious leaders are invited to speak in the chapel. Christmas Vespers, an annual tradition, attracts capacity crowds. Music plays a major role in the life of Knowles Chapel. The Rollins College Choir sings at the Christmas Vespers, and services for Parents Weekend, Founders Day, Alumni Reunion Weekend, Easter and Baccalaureate. Concerts and recitals are presented in the chapel all through the school year. The 155 voices of the Bach Festival Choir perform to standing room only at the annual, renowned Bach Festival held in the chapel every winter.